A wood fence can look nice for several years if it is cared for properly! Do you have a wood fence in your yard? It is important to realize that wood is going to age over time. Mother nature is rather unkind to wood fences. Between various forms of precipitation and constant exposure to the sun, a wood fence is inevitably going to experience weathering after several years. If you want your fence to remain to look attractive for years to come, here are some helpful wood fence maintenance tips! Your first step in preserving your wood fence is to give it a good cleaning. If you don’t have one already, either buy or rent a power washer. A standard powerwasher should be able to remove most of the dirt and grime off the fence’s surface. There are also products sold by manufacturers that you can use to remove mold. Cleaning your fence is an essential step if you plan on staining your fence. If you don’t clean your fence, you probably won’t receive quality results. After several years, your fence is likely going to need repairs. That could mean replacing sections of the wood, lubricating hinges, or replacing screws and fasteners. Also, you need to check to see how secure the fence posts are in the ground. You want to ensure that your fence is always sturdy and not going to topple over. You may need to reinforce the posts if they start becoming wobbly. 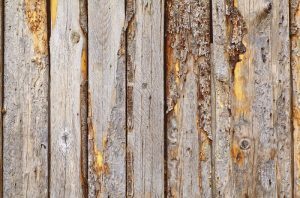 A fresh coat of paint or stain can do wonders for your old wood fence. You will want to make sure that your fence is completely dry before moving forward with this process. It is in your best interest to give it at least a few days to dry before you begin staining it. Any moisture at all is going to have an affect on how the wood reacts to the stain. This entry was posted on Friday, November 3rd, 2017 at 4:44 pm. Both comments and pings are currently closed.